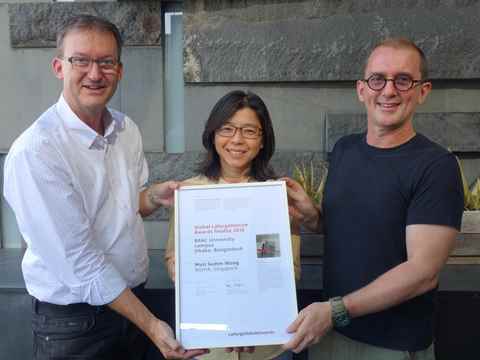 Sim Choon Heok and Richard Hassall of WOHA received a Global Finalist 2018 certificate for “Floating University”, on behalf of Mun Summ Wong, main author of the project. 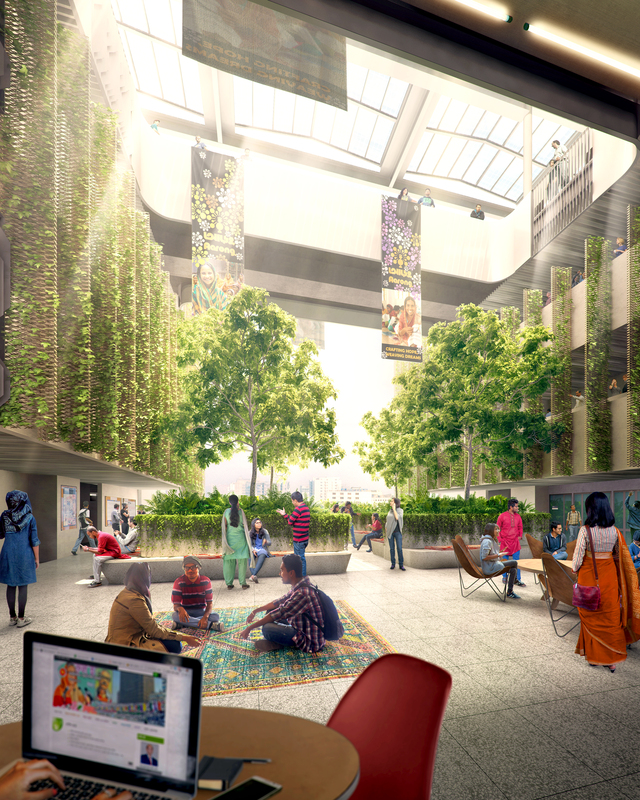 The 2017 Awards winning design for BRAC University’s new campus in Dhaka, Bangladesh, remediates a neglected area that has become a heavily polluted sewage dump, and opens it back up to residents of the city. 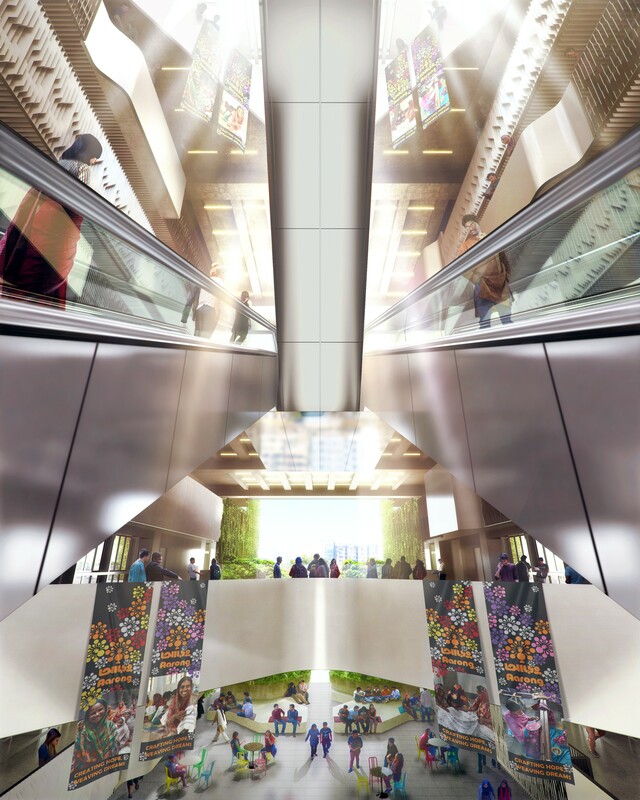 The approach allows both the university and the public to inhabit the site. 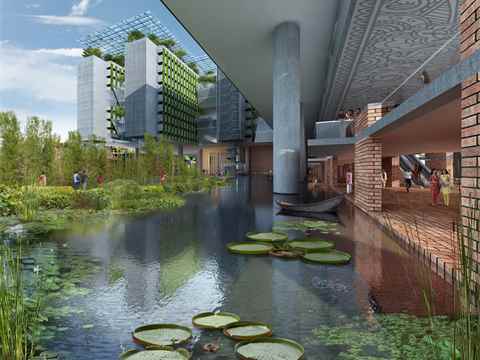 The low-tech design of the 13-storey university campus for 10,000 students rises above a drainage basin that is to become a healthy, natural lake. 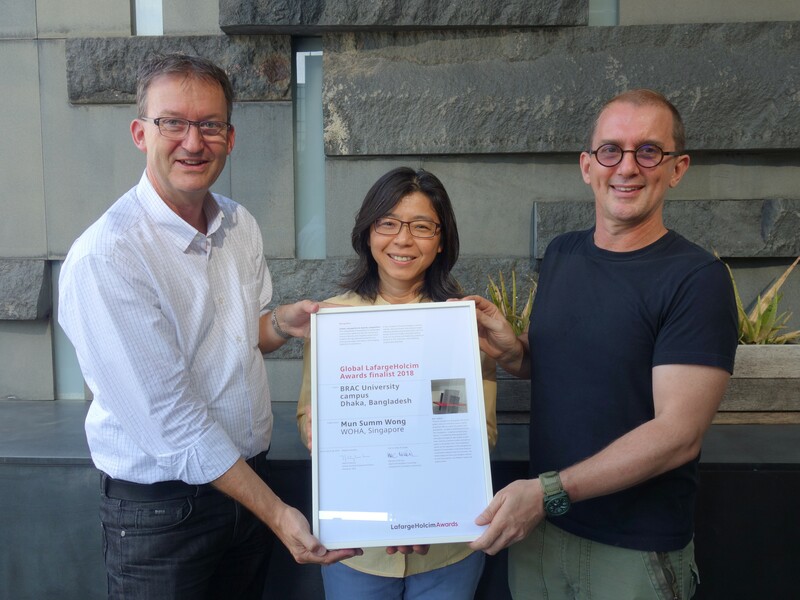 The certificate was handed over by Edward Schwarz, General Manager of the LafargeHolcim Foundation for Sustainable Construction. The project was praised by the LafargeHolcim Awards jury Asia Pacific for setting a new benchmark for sustainability for the region. 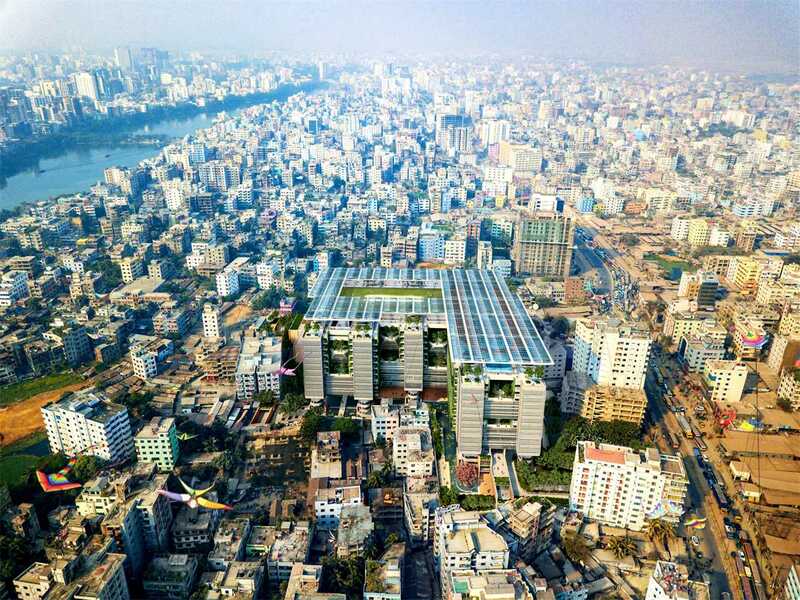 Rapid urbanization has deteriorated Dhaka’s water bodies and natural habitats: the design remediates a natural area and opens it back up to the city. 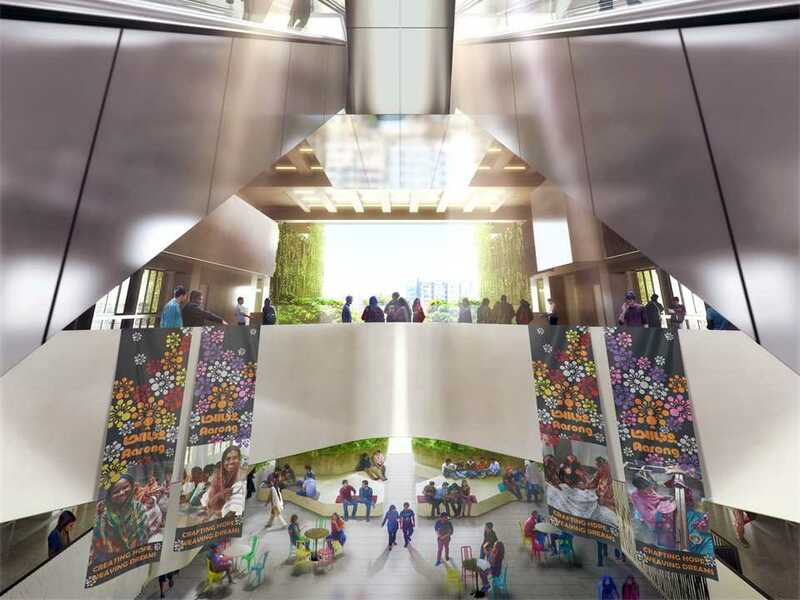 Sustainability is deeply integrated into the design, from thermal zoning to serious reductions in the use of energy and water. 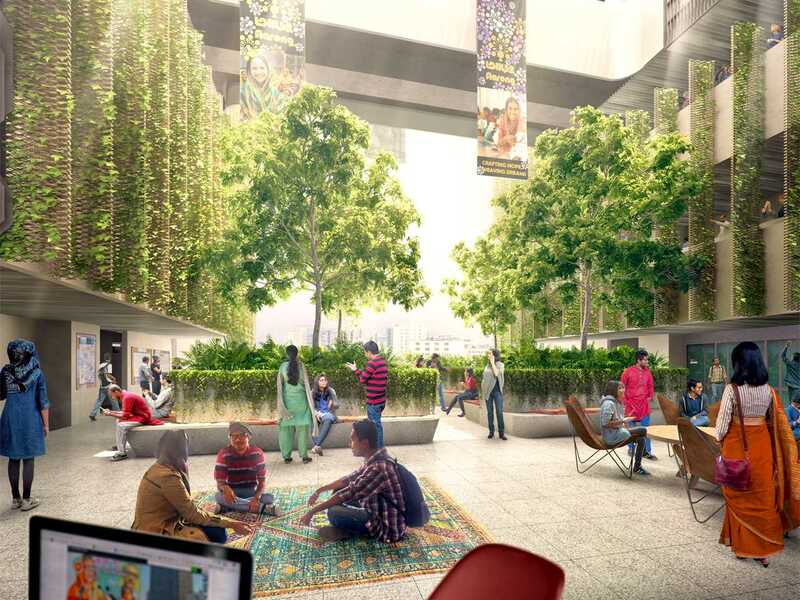 “Particularly commendable is the way a single building is conceived as a larger rejuvenation project for the city”, stated the jury appraisal.